This gingerbread house recreation of The Holiday cottage is amazing. 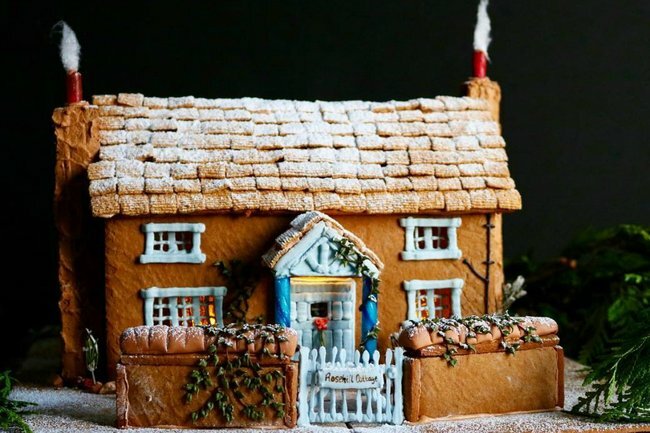 BEHOLD: A very clever woman has made a gingerbread replica of the house from The Holiday. A woman from Detroit, Michigan, by the name of Hannah has just won Christmas baking. The baking enthusiast has recreated the iconic Rosehill cottage in everyone’s favourite Christmas film, The Holiday. AKA the quaint and charming English cottage which Cameron Diaz temporarily moves into and then falls in love with Jude Law, who plays Kate Winslet’s brother. The charming cottage in all its glory. Image: Columbia Pictures. Well, after three to four years dreaming and over a month&apos;s worth of planning, Hannah has recreated the house in edible form, complete with Wisteria vines on the door, candied toffee &apos;glass&apos; windows, a thatched roof and icing sugar snow details. Not only did she custom make every piece, Hannah also drew out a blue print of the dimensions of the house so she could get the construction as accurate as possible. She also used some creative flair in imagining the backyard and sides of the house - which includes adorable little wood log bundles and iced over pot plants. 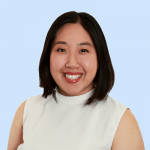 She&apos;s also written an in-depth guide on her blog, La Retro Recipe, with a template, recipe and checklist for fellow The Holiday and gingerbread house enthusiasts. Attempt it at your own peril. However, when it comes to flexing our own baking skills, we&apos;re happier sticking to the watching (and eating), especially when they look like this. This week’s blog post is all about a very exciting project that I’ll be *attempting* this December. I’ve only been thinking about it for 3 or 4 years so I figured if I announced it I kind of have to actually do it, right????????????????????? If you’re short on minutes for your reading log head over to the blog to read 2500+ words on the construction of #theholiday cottage. Or, you know, just look at the pictures ???? A few new angles of #theholiday cottage for your viewing pleasure. The “shed” as I call it (it’s actually Iris’ gorgeous library in the film) is removable and how I access the lighting ???? Would you dare attempt this baking masterpiece? What&apos;s your goto Christmas baking recipe? Tell us in a comment below. Things Aussies never say at Christmas. If you live, or have lived, in the Southern hemisphere, you&apos;ll know what we mean.